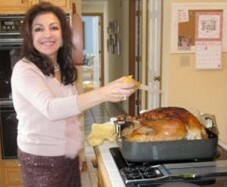 I enjoy setting a holiday table including making decorator Place Cards. 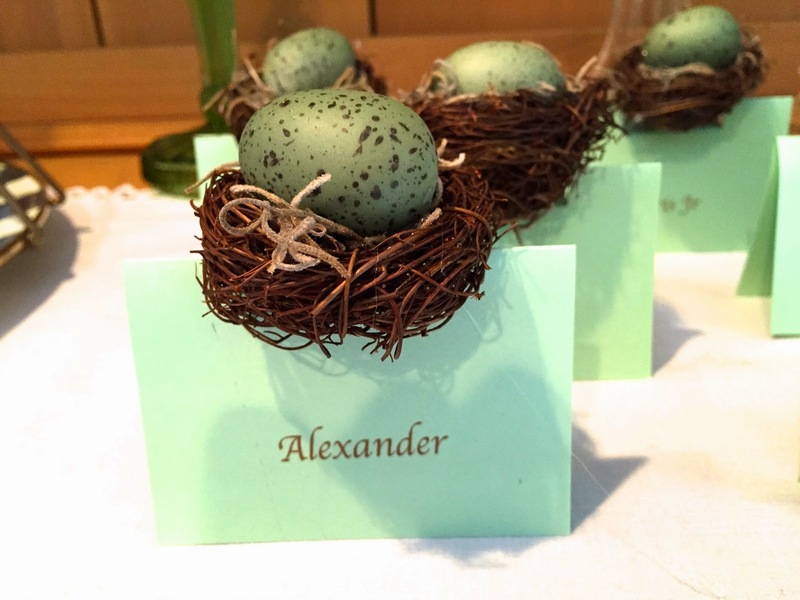 These spring themed place cards are perfect for Easter or any other spring dinner party. 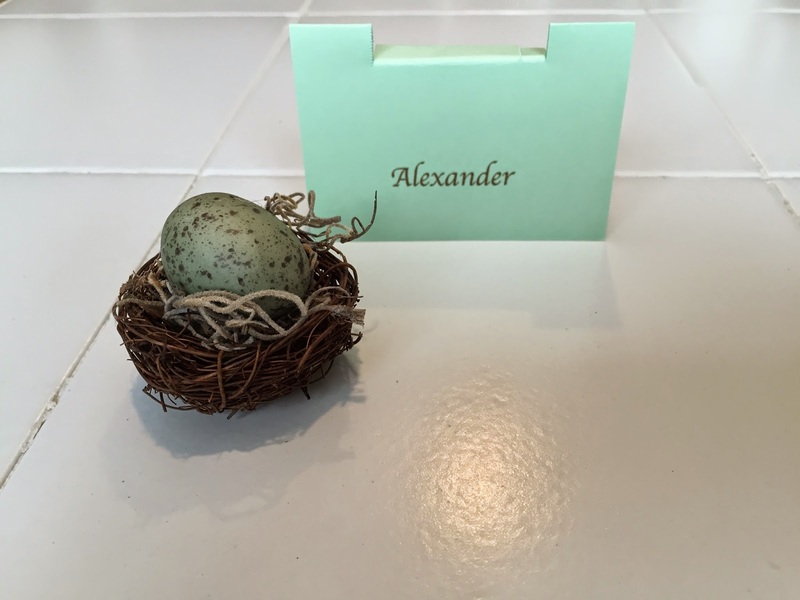 This Easter I had an egg them so I wanted to make place cards to match. So easy to make! 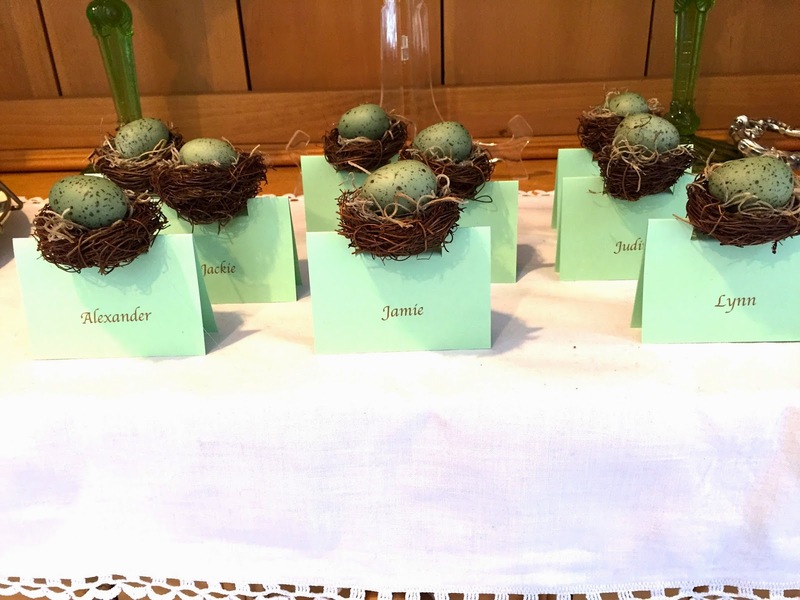 12 colored place cards, I used mint green from Paper Source, my go to paper store. 1. 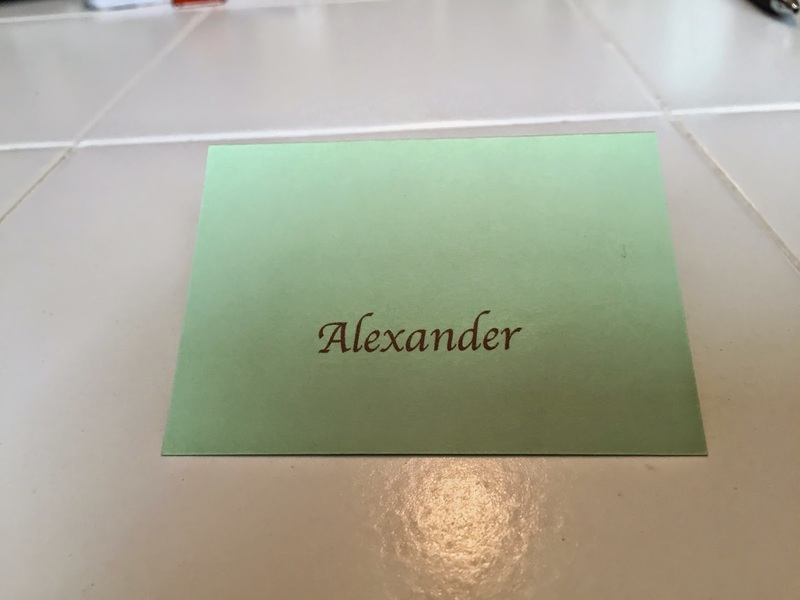 Print name on place cards. Paper Source has a templates on line for all your printing needs. I used brown to print on the mint green. 2. 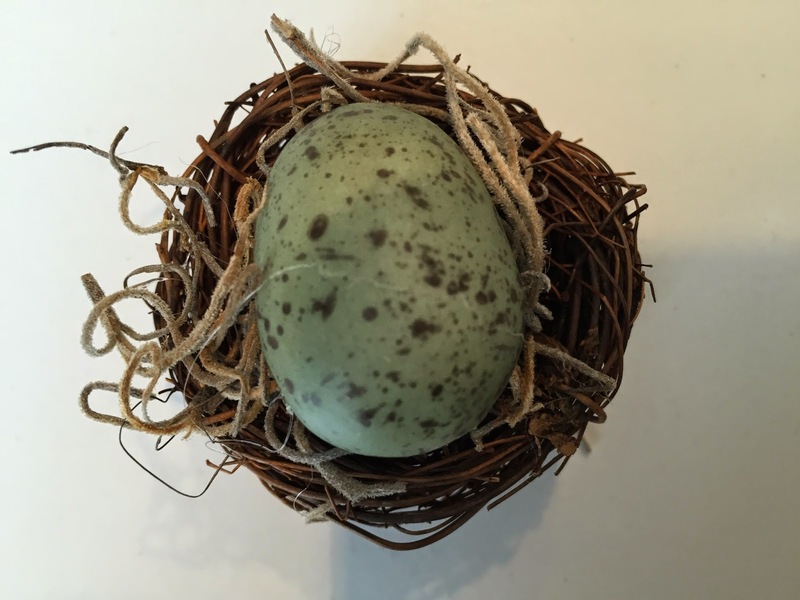 Attach a just a few strands of the moss on robin’s nest with glue. Put a little more glue on top of moss and attach robin egg. Press and hold for a few seconds to secure. 3. Cut to slits on the top of the place card, the slits should be an inch in from each side. Fold slits down to create a ledge for the robins nest. 4. 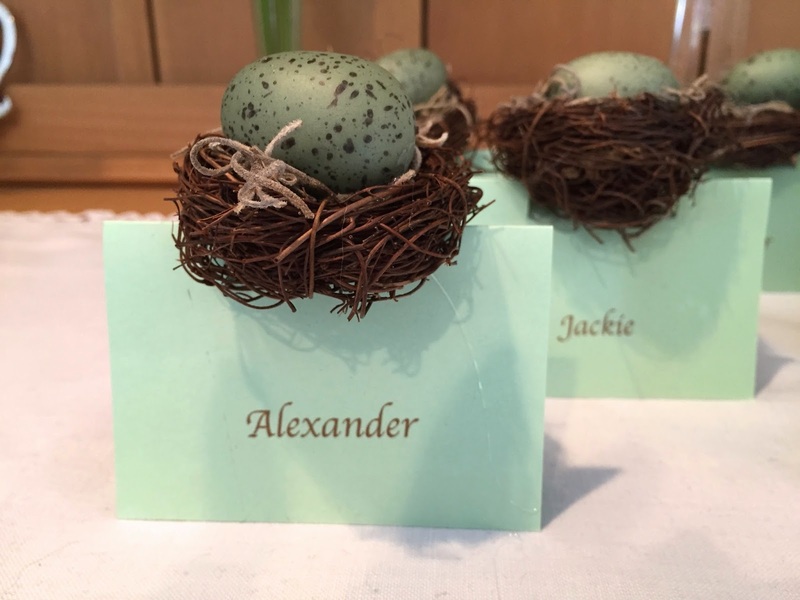 Cover ledge with glue securing the nest to the top of the place card. Your done! Simple easy beautiful place cards!